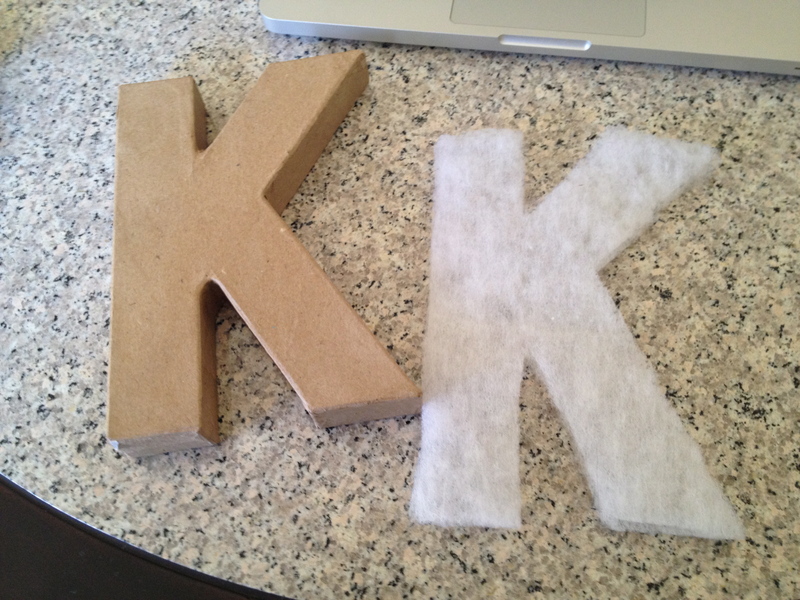 Back in 10th grade, I found this tutorial at a craft store about how to turn these cardboard letters into fabric letters. My large S still hangs in my room at my parent’s house, soI think it’s safe to say that 5 years later, I have mastered this craft. K is for Karlie, my dear friend who had a birthday coming up. Luckily, I had a ton of batting and scrap fabric so all I needed to make this was the cardboard letter. I started by cutting the batting (2 layers of it) to the exact shape of the K. I did this for both sides. 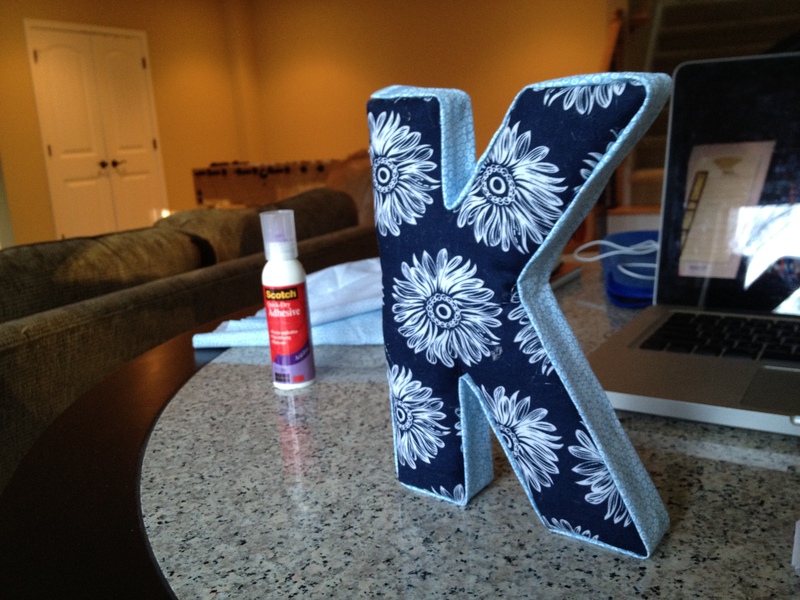 Next, with the fabric I had chosen, I cut out a K with extra margins. Layer the batting on top of the cardboard letter and then the fabric on top of that. I used a hot glue gun (but you can use any adhesive) to glue the fabric in place, attaching the margins to the sides of the cardboard letter. Just make sure the fabric is taunt. Do this for both sides. 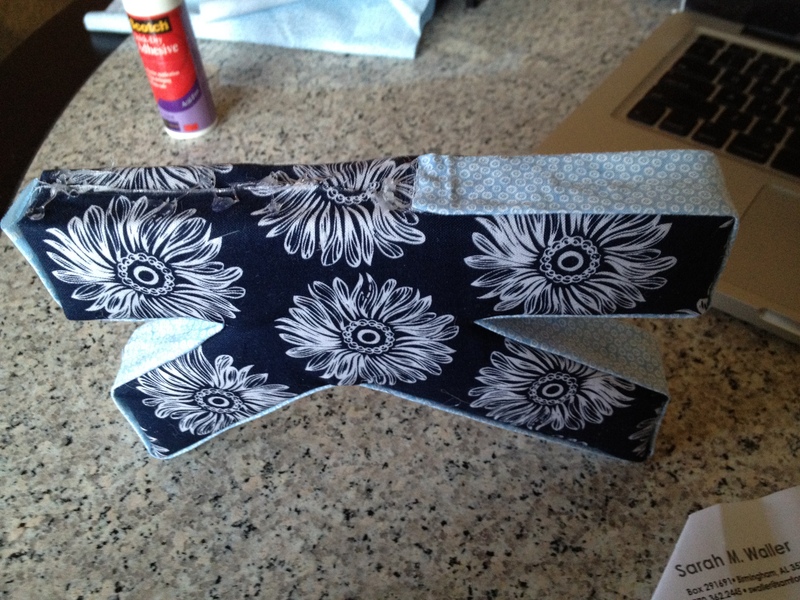 With that complete, I took the other fabric and made a strip that I could use for the sides. 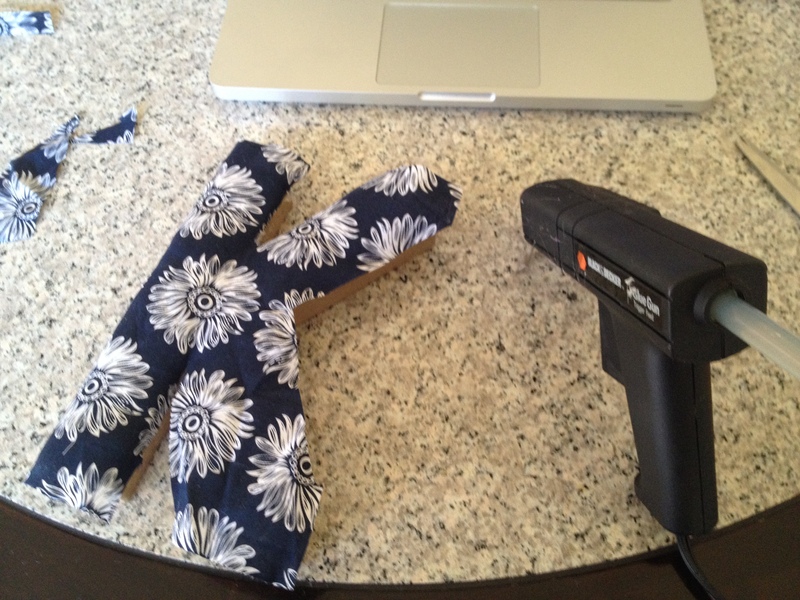 To make this strip of fabric, I cut it out and then folded and ironed the edges to make smooth edges. Simply glue the fabric in place, folding back the final edge so no raw edges are showing. And there you have it. It’s super easy and makes an awesome gift!